Almost one year later I will learn that the whitish rock behind this marker has a cross on it. 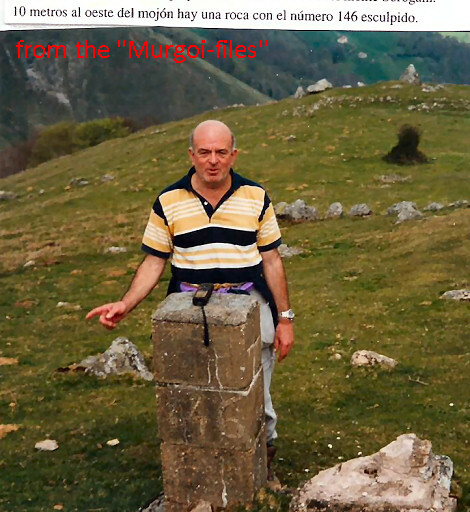 I discovered it on this page of Robert Darrieumerlou's site. 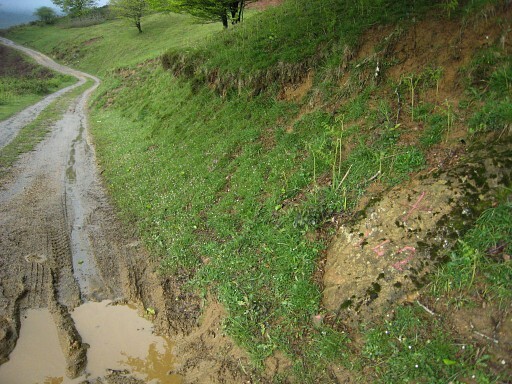 Luckily one of my own pictures showed that cross. 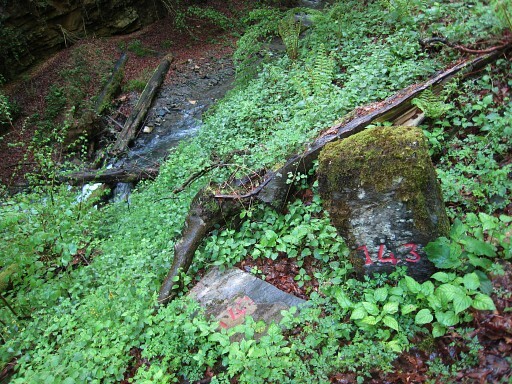 Move the cursor over the picture to see where the cross is. 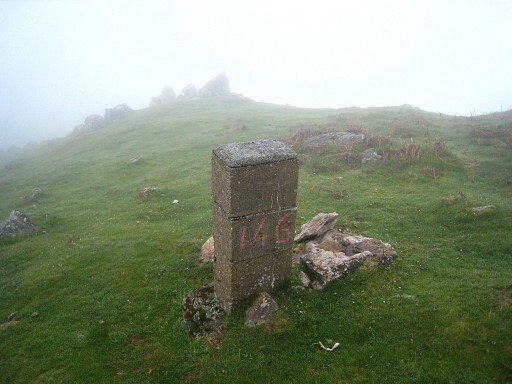 So this rock is the original bm145!!! 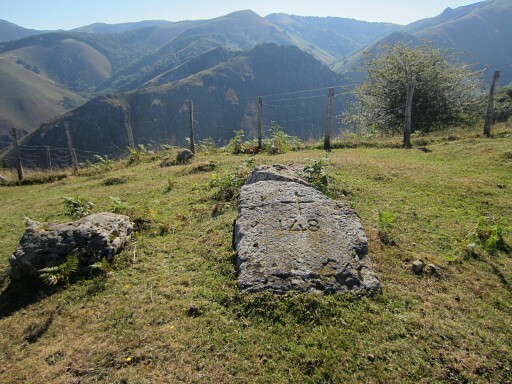 For Jacques, this discovery was understandably “un très grand plaisir “. 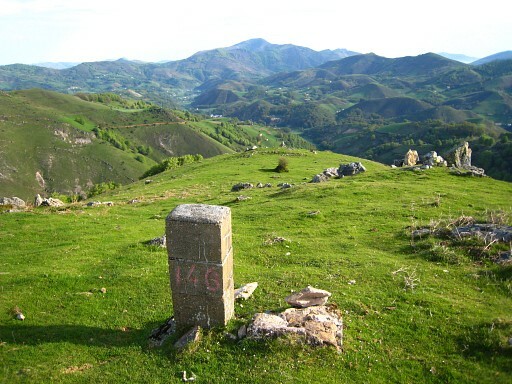 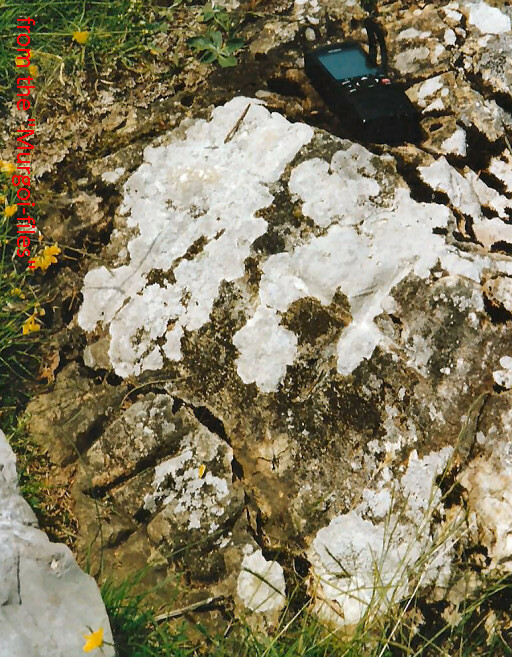 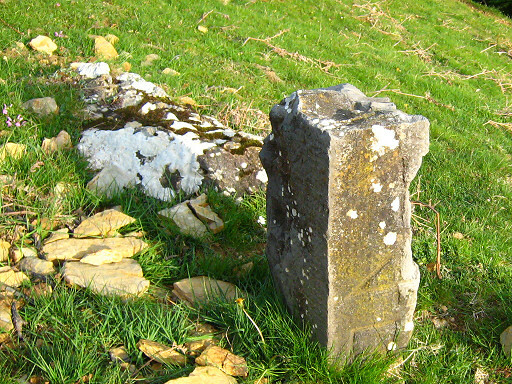 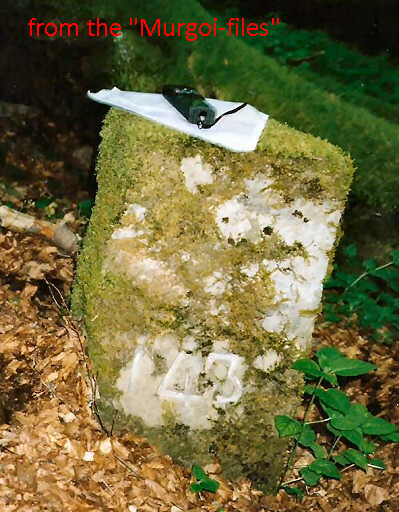 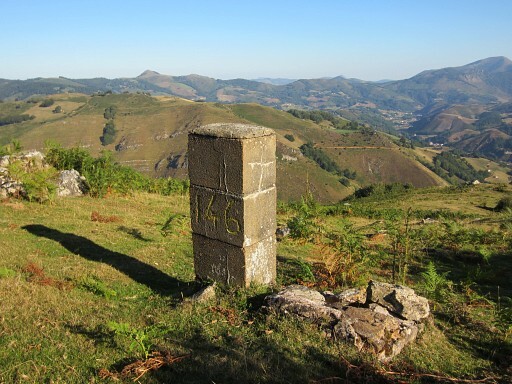 Picture of the rock besides bm145 with a cross AND the number 145. 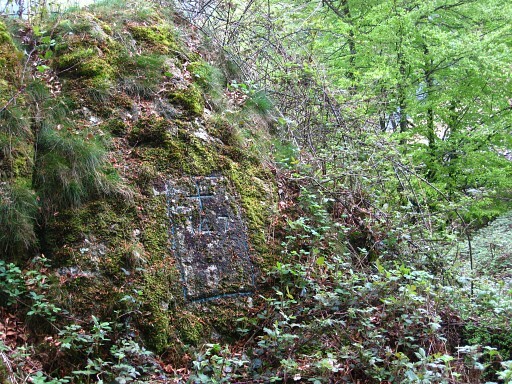 Thus: Jesús Murueta already knew of the number on the rock. 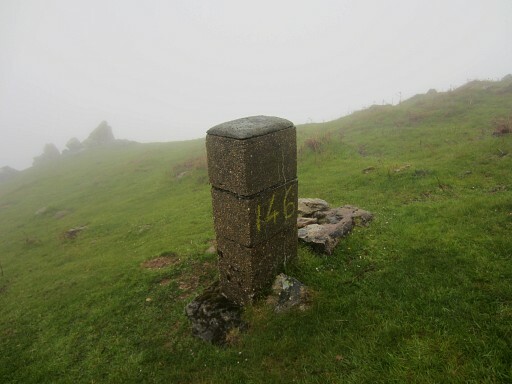 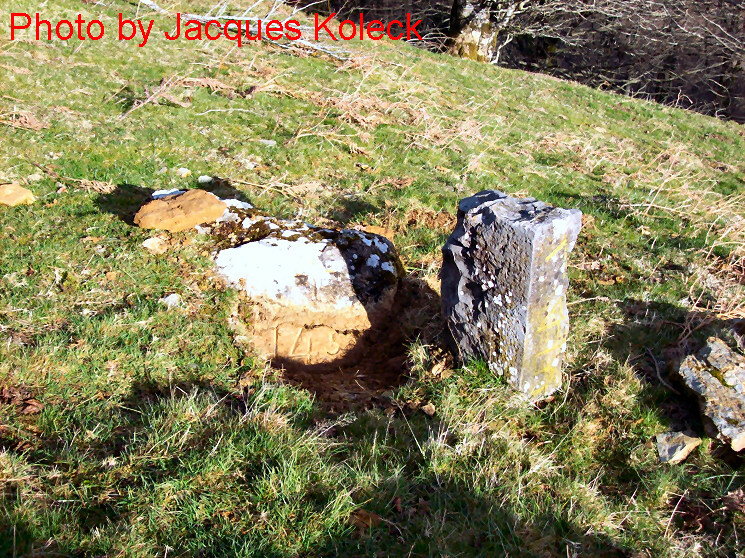 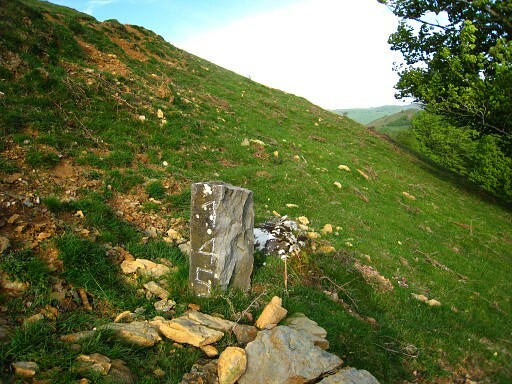 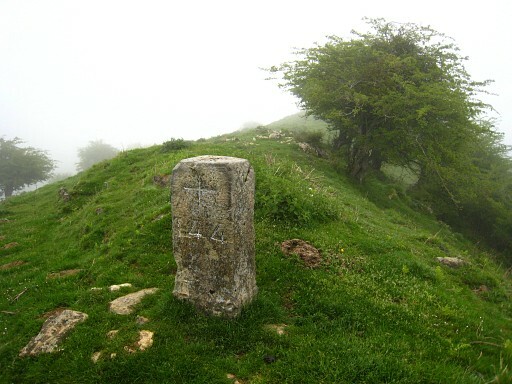 Approximatly 15 meters to the west of bm146 (the pillar in the background), there is a number 146 engraved in a rock. 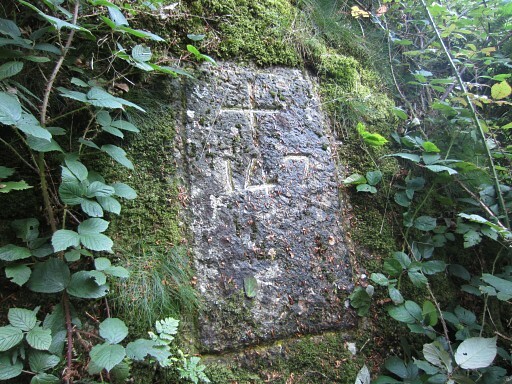 It seems if only the number is engraved, no cross. 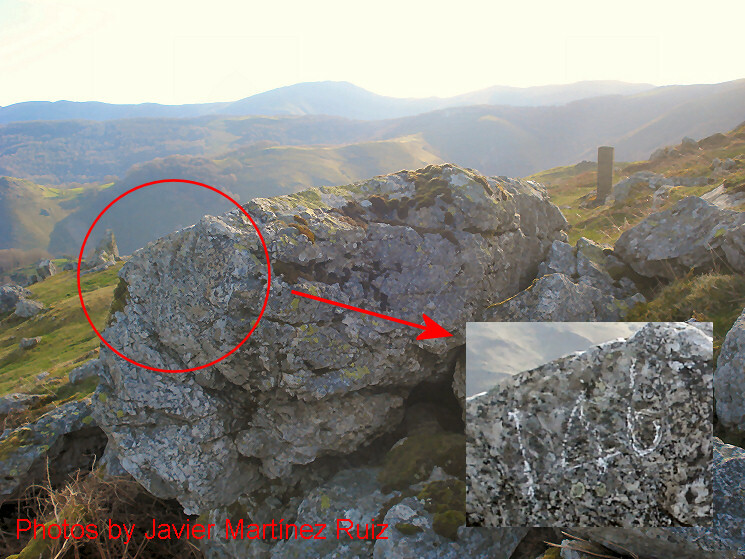 Javier Martínez Ruiz (see Sources-in-person) sent me in 2013 a couple of pictures from which this compilation is made. 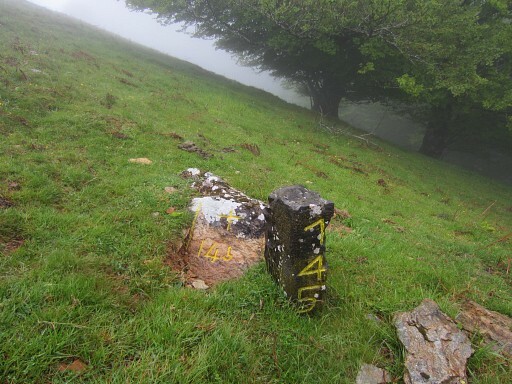 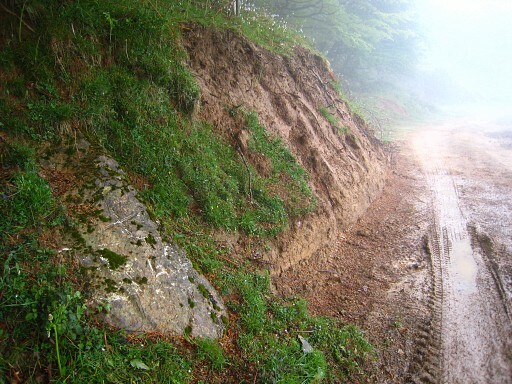 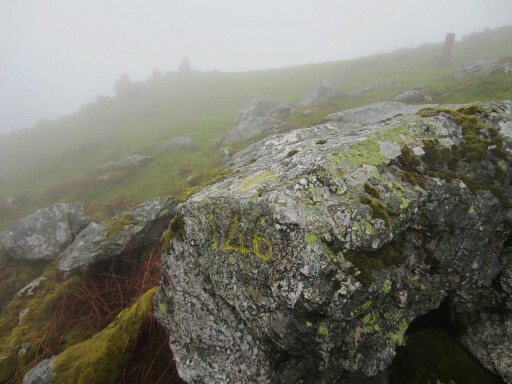 Interesting on this picture from bm146 from "The Murgoi-files": the referral in the text to the rock with the number 146, 10m to the west. 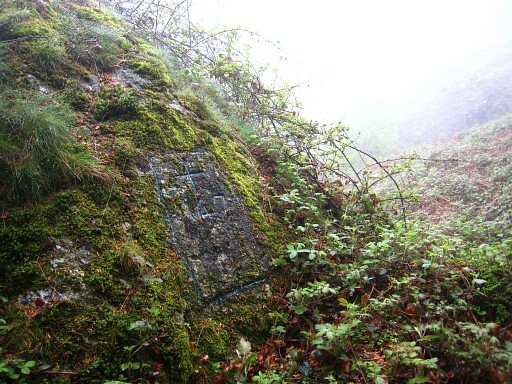 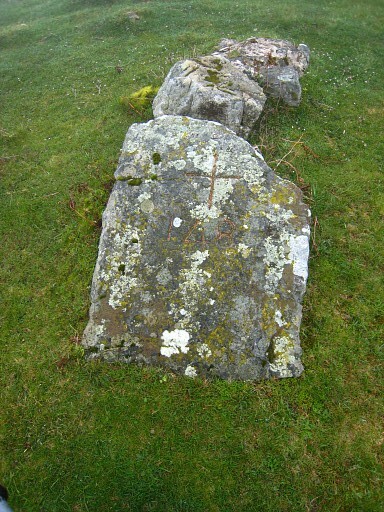 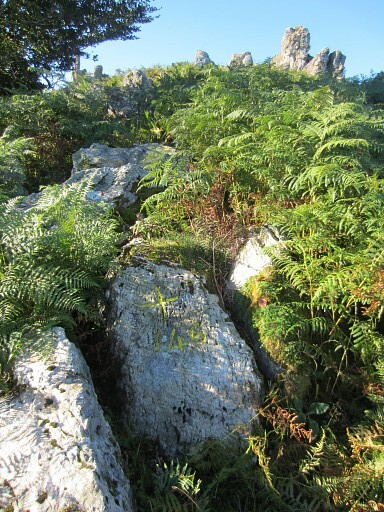 But there's also a rock with a cross & number 146 at the other side of bm146.